Are you new to the area or looking for a new veterinarian? At Meadow Wood Animal Hospital, we’re committed to providing advanced, comprehensive wellness and preventative care for your pet. That includes vaccinations, dental and surgical services, senior wellness, emergency and urgent care, boarding, grooming and more. Your pet’s health and well-being is always our top priority and we’ve proudly served the people and pets of the Lawton/Ft. Sill community for over 40 years. We’d love to meet you and your pet—so we’re offering a COMPLIMENTARY first exam for all new clients! Claim your new client offer today and come see what we can do for you and your pet. Claim Your COMPLIMENTARY First Exam Today! 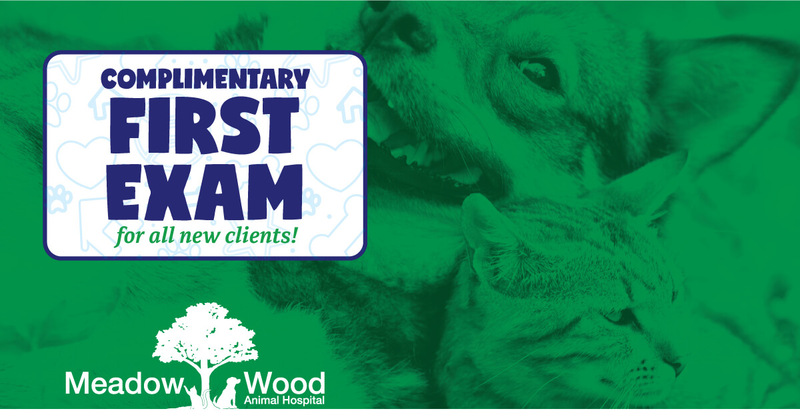 Call us today at (580) 215-1960, or fill out the simple request form below and a member of the Meadow Wood Animal Hospital team will contact you directly to schedule your appointment.